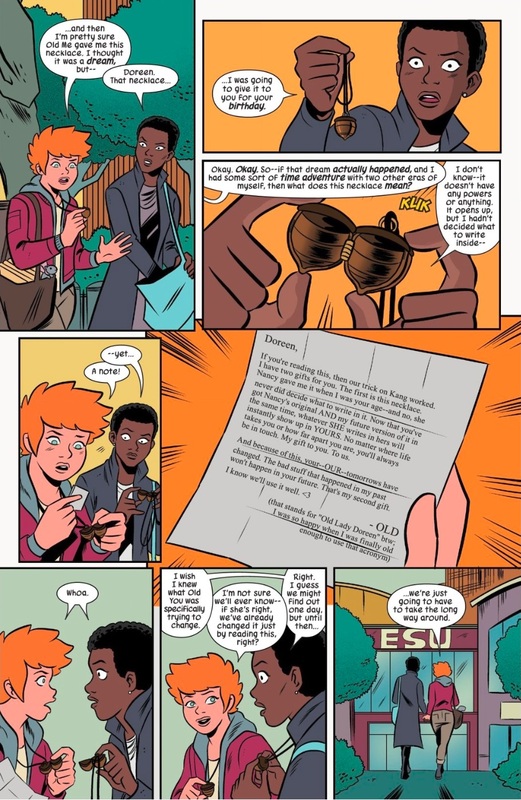 scans_daily | Unbeatable Squirrel Girl #42: The 50th Issue! 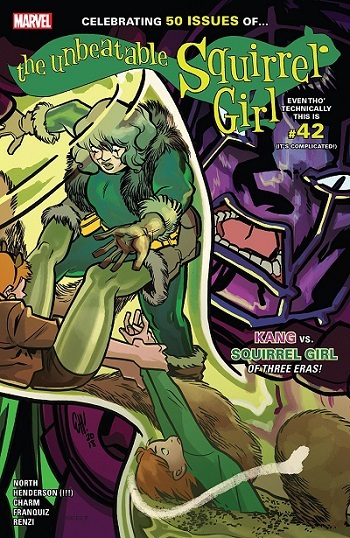 The issue begins with Kang the Conquerer attacking Old Lady Doreen in a post-apocalyptic future, but she's saved by the actions of her younger self, so Kang tracks down Present Day Doreen and, finally, Pre-Teen Doreen (she's ten, but it's fun to say Pre-Teen Doreen), all of whom manage to outsmart Kang and attack him together. After that, Kang is stopped by, uh, Future Kang, who decides to set everything right and return everyone to their proper times, with only a dreamlike idea of what happened...but Old Lady Doreen gives Present Day Doreen something before she goes back. We live in a world where -Squirrel Girl- has lasted 50 issues over several series, plus an OGN and more. 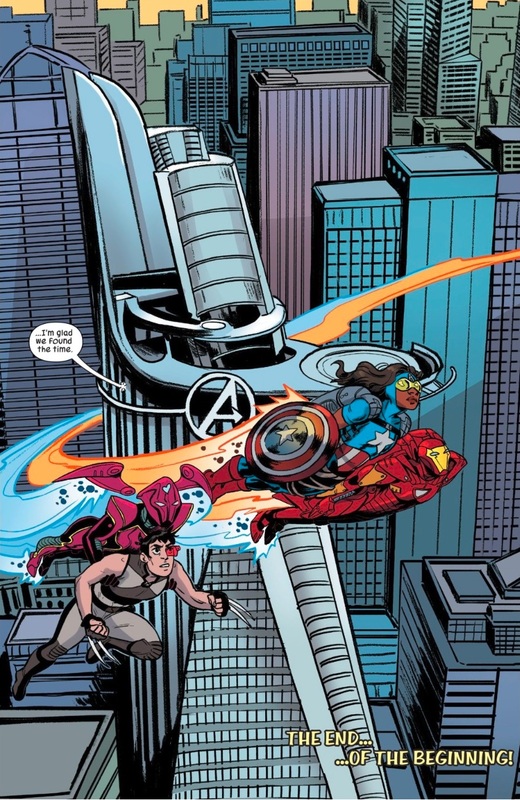 This makes her more successful than 95% of all other superheroes ever. Oh, people can come up with statistics to prove anything. Fourfty percent of all people know that. I'd be surprised if that wasn't an *understatement*, 50 issue runs are rare even for reasonably successful heroes. It’s better than it has any right to be and is often surprisingly deep on issues such as friendship, forgiveness, and the dangers of rushing to judge. Combined with being genuinely funny, it’s my favorite Marvel book. 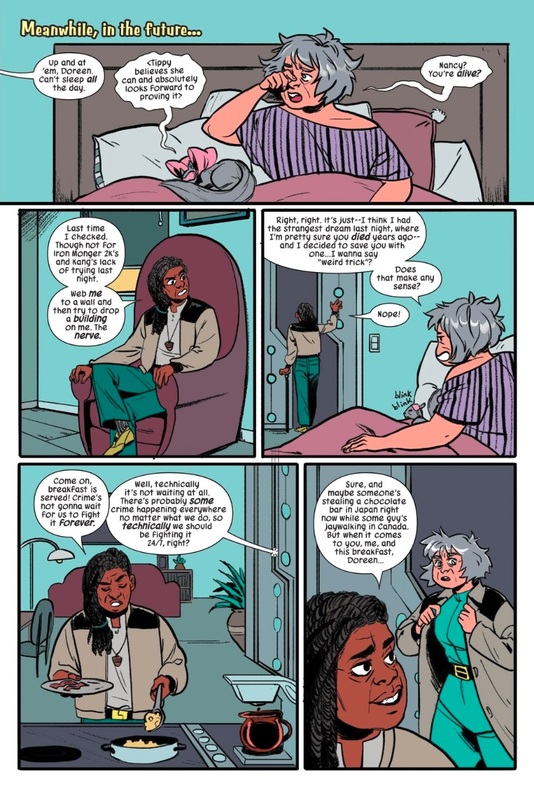 So I haven’t been reading the comic beyond what was posted here, are Doreen and Nancy a couple? Textually, no. But there's been quite a bit of subtext. And a lot of hints that they like each other beyond just "friends." Honestly I'm shocked that in comic books people haven't goofed on the line from Spaceballs "I'm your father's roommate--" and had the response to "and what does that make us?" be "BEST FRIENDS!" or something. Because in comics? Completely plausible. All that the character design sketch states is "Future X-23", and "Short hair. No care". (Well, there are other comments, but I think those are the ones that pertain.) That's Laura her own bad self, in other words. 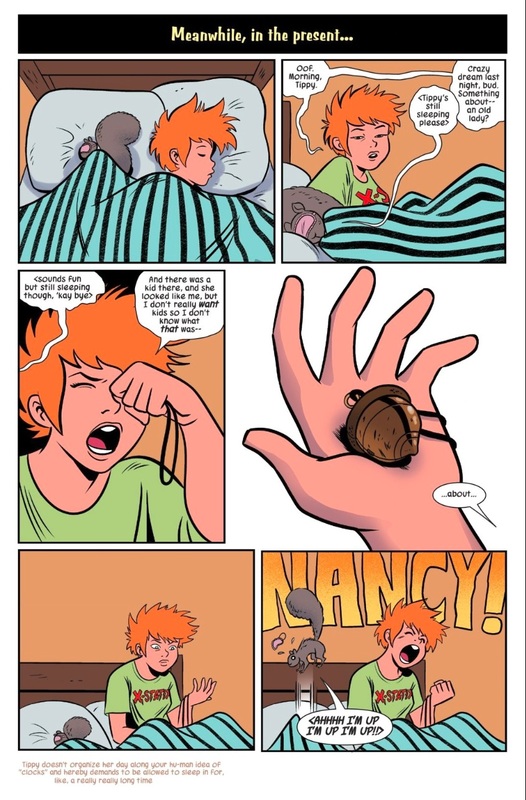 I truly believe that when people talk about great creative team runs, Squirrel Girl will be somewhere on that list. I put it right up there with Priest's Black Panther Run, Brubaker's Captain America, and Busiek/Perez' Avengers.